Michiko Daimon is visiting an island in the South. She sees passengers that suffered injuries during a luxury cruise ship accident. She also sees Ryonosuke Busujima, the former director of the Teito University Hospital Ⅲ! Busujima is in hypovolemic shock. Michiko helps and notices something strange. Days later, Busujima is admitted to the National Advanced Medical Care Center with a cardiac tumor. Under Succeeding Presidentr Yoshihito Tendo, the National Advanced Medical Care Center abolishes the two tower system of East and West. The two groups are merged into a Strategically Integrated Surgical Department. But the division between East and West remain. They continue to look for opportunities to take the lead, however small. The National Advanced Medical Care Center is home to a nursing department with the nickname, the Shogun’s harem. Head Nurse Junko Shiraki is feared by the doctors. But recently, the doctors have been critical of the nurses and Junko has been frustrated by a drop in ethics. Some nurses are quitting from exhaustion because of freelance surgeon Michiko Daimon’s need to constantly operate on patients. National Advanced Medical Center President Yoshihito Tendo makes an appearance on a television discussion program and says there was a need to establish a new organization at the national level that would have the ability to control all the medically-related issues currently distributed among multiple ministries and agencies. Journalist Hiroshi Yomo is against the idea of consolidating the power. The power struggle between the Teito faction and Seikyo faction continues at the National Advanced Medical Center. Things are not going as planned for President Yoshihito Tendo. He is planning to choose either the East’s Takashi Ebina or the West’s Noboru Dangozaka as the next Chief of the Unified Surgery Department. An important governmental checks into the center with colon cancer. National Advanced Medical Center President Yoshihito Tendo wants to create a new organization, the Japan Medical Industry Association, at the national level. Minister of Health, Labour and Welfare Takehiro Oizumi holds the key to the creation of the new organization and has a confidential request. He wants a patient to have a prolonged hospital visit, regardless of what his tests might say. Freelance Surgeon Michiko Daimon and Akira Kanbara are dancing at a night club. Suddenly, a loud man appears with a group of body-con gals! The club is overwhelmed with their dancing. Michiko and Akira are surprised by their performance. Soon after, one of the girls suffers a cardiac arrest. Michiko tries to jump in, but the loud man pushes her away and quickly provides first aid! Who is this man? Freelance surgeon Michiko Daimon finds a notebook at the National Advanced Medical Center. It belongs to a girl named Chihiro. She is in the hospital with a pulmonary vein occlusion. Michiko wants to handle her operation, but Chihiro also has hypoxemia and right sided heart failure. Her doctor views her as an incurable case and there is already talk about transferring her to another hospital. 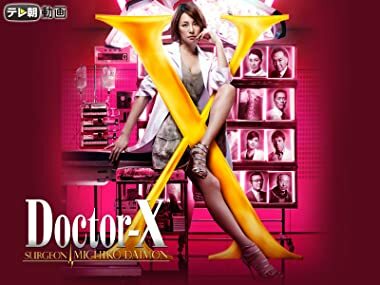 Freelance surgeon Michiko Daimon is walking around town when she notices a photoshoot for a fashion magazine. Super model Maya Kokonoe is not amused when she sees that Michiko is wearing the same coat as her. But Michiko is more concerned about Maya cringing while striking a pose. Days later, the super model visits the National Advanced Medical Center and asks for Hideki Kaji by name! Diet Member Yoshiko Tokachi checks into the National Advance Medical Center with a severe inferior myocardial infarction and a hepatocellular tumor. She has been told by every hospital she has been to that she is incurable. But she is rumored to become the next Minister of Health, Labour and Welfare. If the Center can cure Yoshiko, it could help advance President Yoshihito Tendo’s agenda. Akira Kanbara passes out while working and does not return to the agency office. He avoids his favorite pupil, freelance surgeon Michiko Daimon. National Advanced Medical President Yoshihito Tendo’s dream of establishing the Japan Medical Industry Association comes true. The new association will be able to provide the most advanced medical care. It will control all resources and funding.